1.Easy access of learning materials in digital form, whereby a student will be able to learn online, direct ask questions, upload notes, get access to any uploaded materials in public folders in which subsystems have been made to ensure that all the information is fetched based on a student's needs. 2. D-BUSINESS CENTRE: Digital business center in which every entrepreneur will be able to interact with his/her clients. Creating communication and digital trading center for business between entrepreneurs, businessmen and buyers. 3. FINDIT: Special platform for searching or accessing any information like locations or infrastructures, this can be used by NGOS or government to easily provide services. 4. Online classes, and free online reading in which each class will be having a code for approval to ensure that every class contains verified members. One university may contain several classes depending on their programmes. Each class will contain assignments, tutorials, lecture-notes; automatic drive for saving class notes and other learning materials hence, easy accessibility at any time. 5.Private/Public storage of all learning tools and materials in digital form; example you have started first year college or university now,you will be able to save or upload any personal useful material privately accessed by you, and be able to access them at any time. This will give quick access of notes at any time, for example during supplementary tests; a student will be able to get access to previous notes and tests uploaded. 6. Scholar friendship programme (o-chart), friends across all universities, culture 7. Designing integrated subsystems, where by information management and information accessibility will be integrated within one platform. One of the big setback is the absence of best software(systems) to accomplish the task of Information Management, Most of the implemented information management systems operate separately i.e. they are not connected/integrated. Since OLBONGO scope is big, for now we are focused in delivering DIGITAL-LEARNING-PLATFORM, for everything we develop currently is based in Education matters. We aim to bring a better digital platform that will bring the society together in educational perspective, creating a platform that will empower Tanzanians with enough educational information, and contribute to the development and advancement of our Educational system worldwide. Olbongo has successfully launched online digital discussion platforms like DSE SCHOLAR INVESTMENT CHALLENGE, whereby more than 20,000 members participated on online discussions, free education on investments, financial markets specifically on investment in stock markets and entrepreneurship skills. Its a live platform which shows on percentage performance and contents uploaded. Olbongo has successfully provided educative platform like o-class and o-drives, in which online classes have been created by some students of THE INSTITUTE OF FINANCE MANAGEMENT (IFM), and has been a center for all students to make some discussions, of which ,currently other universities are joining the platform. Olbongo provides access of all learning tools and materials, in which Class leaders or any leader is able to create a class and community for easily sharing of data and information. Integration of schools of the same course, like school of business or school of medicine, olbongo is planning to create common access of books, notes and other learning tools, to ensure that the quality education is achieved. Students of different universities are able to interact on o-chart, whereby a student bis able to connect with other students as friends from other universities, Olbongo team believes this will create educative base for creating educative communities. Laurenti K Laurian, borne in April 11,1994 Kigoma-Tanzania, raised in Kagera region located in Northern Tanzania where joined Rubya Seminary and Harvest mission school for O-level education and received Advanced Education at Ifunda Technical Secondary school 2014 in Iringa region. 2014 joined the Institute of Finance Management for a first degree in Banking, Accounting and Finance, and graduated in 2017. While at the Institute of Finance Management, in second year was selected as a President of the IFM Students Bankers Association (IBSA) leading and Organizing 1000+members in the Field of Banking and Finance; My passion was to create and build a strong relationship base between members of the Association (IBSA) with Banks and other related Financial companies so as all members acquire what is gold plated in a sense of opportunities, like seminars, internships and special educative programmes. Successfully worked with Bank of Tanzania (BOT), United Bank of Africa-(UBA),Ecobank and Barclays Bank for a ready to work special students programme; 2016, started foundation of Olbongo as a team with Daniel P Kindimba and Joseph P Kindimba,our passion was to create and solve problems faced in our communities. Participated in formulation and presentation of Bankers' Product and service during the Career Day Competition for two years consecutively, 2016&2017 of which one of the product is utilized now in Tanzania. Awarded certificate of merit and two certificates for career day competition. 2017, joined the DSE Scholar Investment Challenge, and won as the Stock market best ambassador in Tanzania for organizing and educating more than 13,300 university participants. Awarded an internship and certificate of recognition. 2018, founder of Stock markets-digital discussion platforms (DSE&CMSA), awarded achievement award for recruiting more than 20,500+ participants. Laurenti has also participated in UN and YALI programmes and awarded certificates. vvvTry HARD and Die HARD! Thank you very much for your response and comments. I am greatly obliged by your encouraging response. I have also gone through your innovative idea/project which will help the society in addressing key challenges in education sector through the platform of DIGITAL-LEARNING. I believe that working together we can make a difference and change this world. All these efforts would contribute in the endeavors for accomplishing SDGs goals and targets. on your brilliant ideas through comments, rate and voting and I renew my commitment for all possible partnership in future. Thanks indeed for all your supports. Together, we can do better thing, we can achieve more. I am not tired saying again that you and I are the present of this world. We create the future of our children and grandchildren. That's why our commitment is crucial. Join me and let's change this world into peaceful environment. MORE FROM ME, MORE FROM YOU AND MORE FOR US, this is our motto. This is the link of my project, you are not late if you decided to vote for me now. Good luck and God bless you all! if there is a chance in a million tht u can do something, anything, to keep what u want from ending, do it. Go go go lawrence its the best ideas....fighting to achieve it. very few people who have a good idea like yours. Hello, I hope youre doing great. I went through your innovative idea ,it is really impressing as it fits into a practical project and I would say that you have an awesome project .Keep pushing and working on it. As the community members ,we can help each other by supporting through voting,rating and commenting as I have done to your innovative idea. The step you crossed opens up the door of opportunities and lots of responsibilities to our life, you believe in creativity and innovation and this success defines your zeal of experiment. Dont change yourself, Be the best to grab each one and scale every success in your life. Congrats for this innovative project. @Neda Aleksi. if you want to join a specific class, first you need to know the "CODE" of that class which is a four digit number. The basic Assumption is that a Teacher/Lecturer will create a class or anyone who wish to operate an online class, Whenever a class is created the four digital number i.e. "1937" will be associated with the class, and The Class Creator will be required to share that code with the community associated i.e. Students and also The already connected member will also be able to share with others. if you wish to try you can use one of the following connection code "1973", "4414". also you can try creating your own class. Thanks in Advance. and your welcome. Just a notification,Thanking you for registering with us.Classes created in olbongo are either privately owned or public. Most of them are privately owned, to access them you must be a member of that class or have a unique code identifying such a class.but some are public like coders, or other communities like DSE SIC DIGITAL PLATFORM,or CMSA, through these you can search easily get access to them. 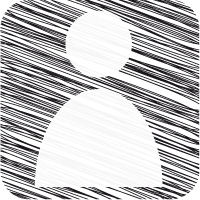 You can also create your own class at any time, or any community and decide whether to be accessed privately or public.If it is private then, you will have a unique code to identify your class, if it is a community, then you will only approve members to join in. Welcome to olbongo,and join o chart to get more friends from other universities. Just a notification,Classes created in olbongo are either privately owned or public. Most of them are privately owned, to access them you must be a member of that class or have a unique code identifying such a class. Your idea has positively impressed me, I have been impressed with the most creativity and innovation you have.Am from India, I really wish to be in your country to advice all students in your country that it is their time of rescue, it is a time to get the best quality of education.It is the time to all students to unite in this genius platform.I have traveled the world, I read books , but honestly saying I have never found an impressing idea like this, and the good thing it is a running project.Keep pushing ,if anyone doesn't appreciate this, I personally and my family will all see the future of this bright project. It's great to see you that you came up with such a sustainable idea. I really enjoy reading it. Never give up. It's almost the ending time of this entrepreneurship competition. Take your idea further after this competition. I hope you'll be able to achieve success with this idea. Let us work together for sustainable development. Together t he sky is the limit..
As we are approaching to the end of comment and voting in our project .am very happy to meet you here and also big up for great and brilliant project to save education to our community since your project it will help to solve different question from universities students. All the best have a look on my project also for more info lets talk through 0719444277 my dial. I appreciate everyone who has been supporting my project and keep voting for my project. I will positively work on all given comments and advice ,and I do promise to make the best from it.For all those who suggested that my project should explore up to their countries ,I will also do the same; as we are approaching the end of the competition, lets all focus on advancing our ideas and projects,whatever ambitious and energetic energy invested in,will lead to greatest achievements.I appreciate much on this supportive platform of the entrepreneurship campus and all organizers of this competition. am proud to be part of OLBONGO, when I was taking my bachelor degree in COMPUTER SCIENCE in my country via INSTITUTE OF FINANCE MANAGEMENT, really OLBONGO become part of my life till today, allways I use it, most important thing is that I can see it grow. I used it to access my learning materials, participating with my classmates and my lectures and having great opportunity to share anything educative with my fellows. 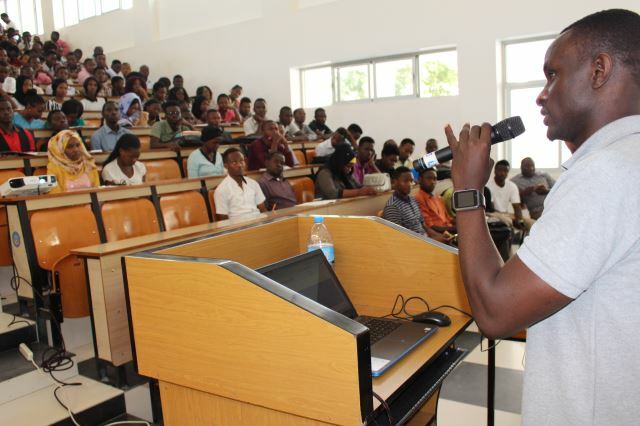 I do believe that progressively OLBONGO will grow bigger and become most sustainable educative platform in TANZANIA and even outside TANZANIA. I am really happy to know about such a great idea, I think it has great potential in creating necessary impact in our society as it focuses on the essential pillars which should be improvised to have a good society like free education , infrastructure ,open libraries.It creates a network between students and gives them the platform to share knowledge with each other .All the best on your project, hope it will come into reality. I hope you're doing well. I was going through your idea. I really enjoy reading it. Your idea is amazing and sustainable. I have a question regarding your idea. We are on the world of transforming complexity to simplicity. As Olbongo in the scheme of entrepreneurship,I promise to work in all aired views and advice. Thanks again for your postive tips,and we promise to work on them. I hope my previous comment helped you. It's great having you around this competition.I want to commend the contribution of your project which is going to a national and international level.Let us support each other at least till we are here in this competition.I wish you all the best. olbongo has helped most of us at the university ,it was very tough for some of us to access all learning materials,but now we can easily trace and access them at any time we want to. Illiteracy is linked with poverty and lack of awareness.By increasing awareness,you my friend will assist in reducing the knowledge gap as well as employment generation for the poor,depraved classes.Absolutely stunning business proposal.In fact,by increasing education,we can even achieve the plan of ZERO HUNGER. I like the project ,olbongo has helped us to solve a critical problem of misplacing our notes,and now we can use a digital platform to access them every at any time. Much appreating to all those who are taking their golden times in reading and commenting on my project. I honour you for this..I promise as I thought an idea ,and started exuting the idea into a project,.to be of timely solving community problems. Everything will be on your finger tips. Kindly read my project at https://www.entrepreneurship-campus.org/ideas/20/11936. Thats the link to m project, if you could do something to improve on it, what will that thing be? Much appreciations of the motives ,digital designed platfroms where the wholy world is connected. I appreciate every comment aired here,and i promise to full put much of the efforts to ensure everything is put at your finger tips. The idea of accessing and storing of lectures and study materials at Olbongo is really overwhelming; bright future is coming to higher learners. For this I voted, I vote and will keep voting until the voting button turn RED. Hello LAURENTI LAURIAN! I observed you're doing work worthy of commendation. One of the basic needs of man is education; This has existed but not accessible to all. But by the implementation of your Project, many students would have access to learning and entrepreneurs would be able to contact their existing and prospective customers effectively. Endeavor to make the service free initially to attract quite a large number of people. You can charge little fee later. Keep improving on that idea and you shall be successful. I like olbongo since it brings people from different location being together as one, sharing creative ideas, learning and entertainment. Its good innovation from young generation that anybody may admire to innovate. I suggest the community to continue support such creativity and boost all people who come up to do great things for the good of all people. Its my pleasure to be one of the users of this project, it really help us as higher learning students to accomplish our school tasks and to read some useful material. Your idea is good. Is good to support education programs , I like the idea of providing scholars all the possible material so they can obtain the best knowledge they can. As in school they teach me that " Reading is knowledge and knowledge is power ". Continue making changes that help our world. You have a great idea which is inspiring and sustainable. Being in the same community members, we need partnership to go further in implementation of sustainable development ideas!! Mostly i like the project.It has helped most of the students eho have tried to use it.I remember our online class was so impressing and tranformed us to a new digital learning method. Mr Laurenti..keep going..we believe in you..you can do anything shaping the future and solving our community problems. We are the reasons of bringing postive impacts and solving our community problems.Lets keep this postive chain in our community and supporting ideas snd projects. Thanks for the wonderful and skillful advices and comments. I technically promise to work on them,plus adding more inventions. Kindly lets keep this chain of suportive ideas and projects. Your project idea is a nice one. It is innovative and essential to Tanzanians. Education is vital to all of us and we will be grateful if u can extend the program to the whole of east African countries. Well done, brother I can't even express myself how much I appreciate your efforts. It's great to have someone as special as you to work with great and very suitable idea like this. The project is interesting. I hope u will become the winner. All the best. Keep moving forward, our world now controlled with technology, so this idea will be the solution to the digital problems and easier to access materials and information. Thanks. The idea is good and very suitable for our universities studies. Let me wish the best of luck and i hope soon is going to active, ready to use. But please know that the idea should not base much on the universities you can also exhaust it in the offices, and all other level of education for the access. Much appreciations for your support, I promise to execute everything you advice ,you arr the true reasons why ,am still energenetic in developing new paths for our next generation.Cheers,and lets keep sharing this postive chain. My project, "OLBONGO(FOR DIGITAL EDUCATION &BUSINESS ACCESS)-EVERYTHING ON YOUR FINGER TIPS", was nominated for the Youth Citizen Entrepreneurship Competition in the Best Project 2018 category. Please read my idea at https://www.entrepreneurship-campus.org/ideas/20/11936 and consider supporting my project with comments and votes! I have read your idea and i find it amazing. as we all know education has a unique impact of the future of our continent. Digital learning is a great approach to improve our education system. Good luck. I am also a campus member My idea, "Production of high quality biological inputs for an agroecological agriculture", was nominated for the Youth Citizen Entrepreneurship Competition in the Best Ideas 2018 category. Olbongo should be a keyword in our day to day talks. And it will get there. Therell be a time. A day wont pass without querying Olbongo servers. You have all my support. Go win it! Go for greatness. Viva Olbongo. Good Job comrade! Your project is great , However, let us partner in order to take further our projects . You can also check on mine through this link, vote , comment and support it through your networks . You have my vote once again. Digital learning can approximate the benefits of tutoring while freeing up time for teachers to address individual and small group needs. Learning tools and technology enable students to develop effective self-directed learning skills. This is a nice idea. I like your project very much. Education is the backbone of a nation. Your project is working on this. I really appreciate it . Spread it in the whole world. And please also look at my idea Solving the Gender Diversity Problem (SGDP). Give your valuable feedback and vote on it. I love your project work, it's a great initiative and which will be beneficial for youths and also the coming generations. Kudos to you! You can as well comment on my idea also. man, you always do great n i truly honored to have such a good and active buddy as you are...I always tell you that no matter what you have in your mind just don\'t hesitate to check us, we will support you bro!! "Easy access of learning materials in digital form" that seem nice ,i just like your projects and Your idea is wonderful and looks good to apply, do not give up, wish you all best I will vote for your project. This project is very interesting and inspiring at the same time as it will enable ease access of materials and facilitates distant learning. Keep it and one day we will see u at de top. Remember a good fighter never give up, since i know u 2012,i realize ur a good fighter alwayz. I support your project Mr Lawler , keep it up. The world belongs to the problems solvers like you. This platform will be a game changer as the world is moving on Digital direction. Seek more expertee assistance on your develeopment team to ensure more effecience and accuracy of this project. Much appreciations for the feedbacks,our passion is to create and solve what is seen to been in a sense of opportunities but saving the lives of many and solving problems in our communities..Olbongo ,we promise to online with this..
Voting process still on . Congratulations to Mr. Laursnti K and the team members for coming up with the best productive idea,I believe this is going to give a way to financial success among the Tanzanians and the world at large.Nonetheless,many people from differnt places worldwide are going to be aware of the plenty of opportunities available through this platform of Digital Education and Business Access. Excellent project. Through your project, a student can learn anywhere or access knowledge easily. It helps students who access them to improve their knowledge and gain new knowledge. Good luck. very very interested,,,u did it bro!! For sure this project is awesome! We are living the future. Witnessing the magic from our fellow genius. The platform gonna be great one day. Pull up your socks and never give up. Believe everything is posible if you believe. Congrats! Olbongo platform has been very useful for people of many carrier, especially higher learning students. They can share academic issues, exchange knowledge, share notes among them selves, and access time table. Here goes the the project inspired by youths; motives are all clear interlinking and connecting youth with paramount information as far fingers can lay. We need information to attain the least knowledge necessary for unlocking our potentials.